Prior to becoming an investment professional, Richard worked as a software engineer in Orange County, California for over 10 years. Obtaining his securities license in 1991, Richard started began preparing financial plans and recommending mutual funds to individual investors. 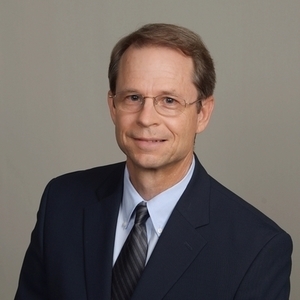 In 1995, Richard earned his CERTIFIED FINANCIAL PLANNER™ certification and launched Schultz Financial Management, an independent fee-based investment advisory firm (the predecessor of Pacific Investment Research). Early on, Richard followed a common investing approach, creating diversified portfolios of mutual funds across a broad array of asset classes. Not satisfied with that approach after 2000-2002 bear market, Richard decided to take a more active hands-on approach to investment management going forward. He drew on his engineering background to develop quantitative methods to systematically reduce risk during market declines. This helped him to successfully navigate his client portfolios through the great recession of 2008-2009. Richard’s credentials include a Certified Financial Planner® designation as well as a FINRA Series 7 securities license. He is a member of the National Association of Personal Financial Advisors (NAPFA) and the National Association of Active Investment Managers (NAAIM). Richard is also rated an approved MD Preferred Services™ provider to physicians.